Georgia Tech's Ron Arkin has been working on teaching robots the finer nuances of deception. According to IEEE Spectrum, Arkin has even co-authored a study "in which robots used algorithms to determine whether deception is a good idea in a given situation, and then executed a deceptive act by providing a false communication to another robot." Arkin didn't stop there, though. He went on to explore the behavioral patterns of squirrels and how researchers can re-purpose those behavioral traits in robots instead. If you don't know why this is so interesting, here's the quick run-down: Squirrels tend to obsessively check on the food they have…well…squirreled away. [ಠ_ಠ —Ed.] 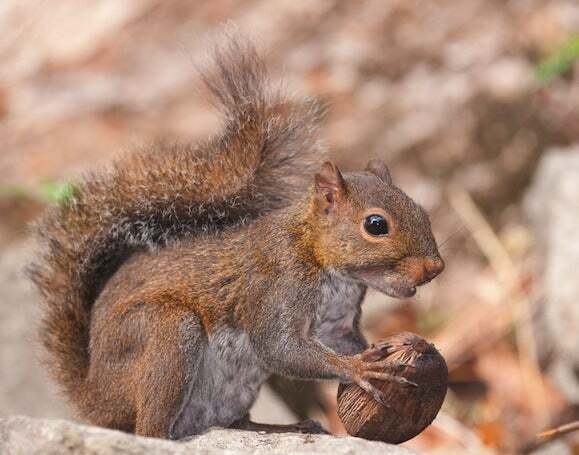 If the squirrel spots potential competitors nearby, it will try to fake out possible food thieves and visit locations where it didn't hide anything. Arkin, along with student Jaeeun Shim, took this behavior and applied it to automatons. The pair has apparently been able to "teach" a small, mobile robot on how best to forage for and cache virtual food. All things taken into consideration, the idea that robots may some day be able to double back on their trails to elude would-be human pursuers is absolutely terrifying. If this has your curiosity piqued, you can read more about the study on IEEE Spectrum.